I have to share this bit of good news involving the partial government shutdown. It comes in the form of a mortgage payment from a former pro football player who once fell on hard times himself. Ryan Leaf was the No. 2 pick in the NFL in the late 1980s out of Washington State University. He didn’t do well as a pro, playing just 25 games before being released. He knocked around here and there. One of his jobs was as an assistant coach at West Texas A&M University in Canyon. Then he got into trouble with drugs. He was forced to resign as quarterbacks coach at WT. Leaf was sentenced to 10 years of probation and fined heavily. He is clean now. Well, he heard about the plight of a Tennessee family caught in the government shutdown. Taylor Futch sent out a tweet explaining that her husband, a park ranger with Great Smoky Mountains National Park, was being furloughed. The couple couldn’t pay their January mortgage installment. Futch said she wasn’t soliciting for help. She sent the Twitter message out merely to explain how the shutdown is having an impact on her family. However, she got an unexpected — but welcome — hand from a one-time football star. I recently lamented the retirement of a man who has lent his wonderful written “voice” to the Texas Panhandle. 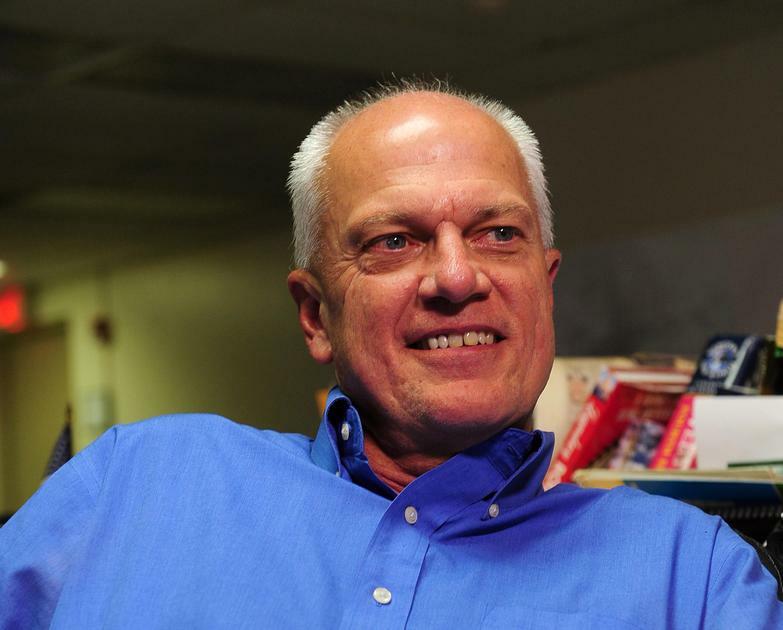 Jon Mark Beilue worked for the Amarillo Globe-News for 37 years before retiring in July from his post as a columnist. I have good news for readers of this blog: Beilue is getting back in the game, this time as a columnist for West Texas A&M University. I want to share this bit of good news because I have used this blog to bemoan the gutting of the Globe-News — first by Morris Communications and then by the company that purchased the G-N a year ago from Morris, GateHouse Media. Read the entire WT statement here. WT plans to distribute Beilue’s columns weekly to area newspapers. If the folks who run the Globe-News have a brain in their heads, they will make sure this fine journalist’s words are published on the pages of a newspaper in dire need of institutional knowledge of the community. Beilue provides it. He lived his entire life in the Texas Panhandle, absent his four years as a student at Texas Tech University down the road a bit in Lubbock. And as WT noted in its release: His talent with words is well known across the region and has been recognized at both the state and national levels as far back as the 1980s until his retirement in 2018. I have said it before, but it bears repeating: Jon Mark Beilue is a community treasure. I am delighted to know that WT has decided to put him back on display. 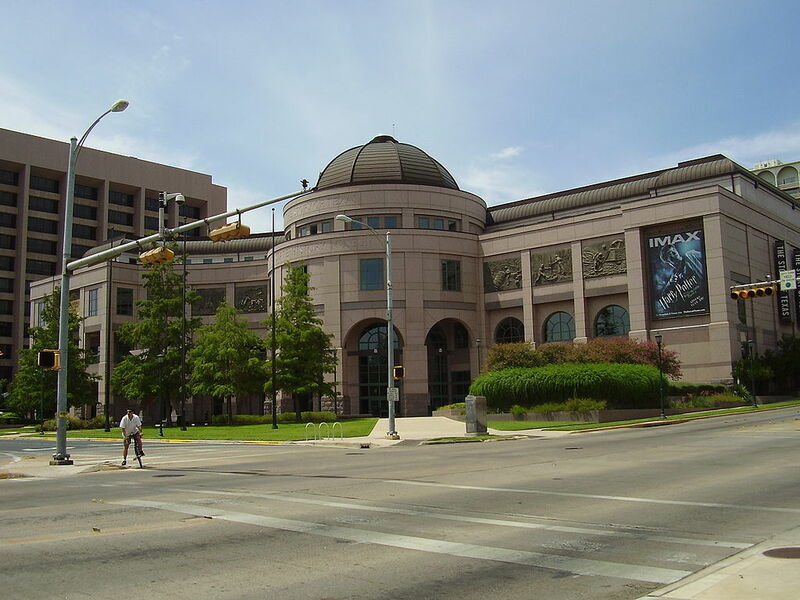 We’re heading downstate soon for a two-week tour and we’ve made a tentative decision on one of the sights we intend to take in: the Bullock Texas State History Museum in Austin. I regret I have not yet toured this place. It’s not far from the State Capitol and it carries the name of one of the state’s more legendary political figures: former lieutenant governor and Texas comptroller Bob Bullock. Bullock died some years ago of cancer. He was an irascible, often grouchy politician. He was a crusty, traditional Texas Democrat; by that I mean he wasn’t what you’d call a squishy liberal. I met him once while I was working in print journalism; it was near the end of his life and, to be candid, he looked like death warmed over. Lt. Gov. Bullock did not take good care of himself. But, oh man, this man — who died in June 1999 — loved Texas. He was fond of finishing his public speeches with that gravely “God bless Texas” salutation. His political descendants from both parties have adopted that blessing as their own. The museum in his memory opened in 2001 and it tells the story of Texas history like no other such display. Now, I offer that view with no disrespect at all to the Panhandle-Plains Historical Museum on the campus at West Texas A&M University in Canyon, just down the highway a bit from Amarillo. I’ve been to the PPHM many times and have seen the flyers proclaiming it to be the “finest historical museum” in Texas. It’s a wonderful exhibit and I see something new every time I visit it. Our RV travels are going to take us downstate for a tour of the Hill Country and later to the Golden Triangle, where we lived for nearly 11 years before moving in early 1995 to the Texas Panhandle. We’ll finish our jaunt in the Metroplex before heading back to Amarillo. I am so looking forward to touring what I have heard for many years is a beautiful exhibit in Texas’s capital city. Texas A&M University System Chancellor John Sharp came to the Panhandle the other day to announce plans to enhance West Texas A&M’s veterinary medicine education program. Sharp wants to maintain A&M’s monopoly on veterinary medicine throughout the state. I cannot blame him for looking out for the university system he administers. Oh, but wait. His plan for WT have the appearance of a sort of pre-emptive strike to prevent Texas Tech University from building a school of veterinary medicine in Amarillo, which is a live option on the table for the community … and for Tech Chancellor Bob Duncan. Duncan and Sharp have distinct differences of opinion on whether Texas Tech should proceed with construction of a veterinary college in Amarillo. Duncan came to town not long ago to pitch the case to community leaders, suggesting that Tech’s board of regents are committed to establishing a vet school next to Tech’s existing Health Sciences Center in Amarillo. Sharp, meanwhile, is pulling out many stops to prevent Tech from proceeding. The top Aggie is a savvy enough politician to understand what the announcement that boosts WT’s role in veterinary medicine means to any potential competition. Then again, Duncan has been around the Texas political pea patch a time or two himself, so he must be acutely aware of what Sharp might be trying to accomplish. I happen to believe that Texas — with 268,000 square miles and 27 million residents — is big enough to accommodate two schools of veterinary medicine. Duncan has high praise for the veterinary education that A&M provides. He also believes Texas Tech can provide a top-drawer education for veterinary medicine students who want to be educated here at home and who might want to remain in the Panhandle after they receive their DVM degrees from Texas Tech. I happen to agree with Duncan. I also believe the A&M initiative is good for West Texas A&M, it’s good for the community … but it shouldn’t forestall Texas Tech’s efforts to establish a veterinary medicine presence in Amarillo. Slow ’em down along Russell Long Blvd. 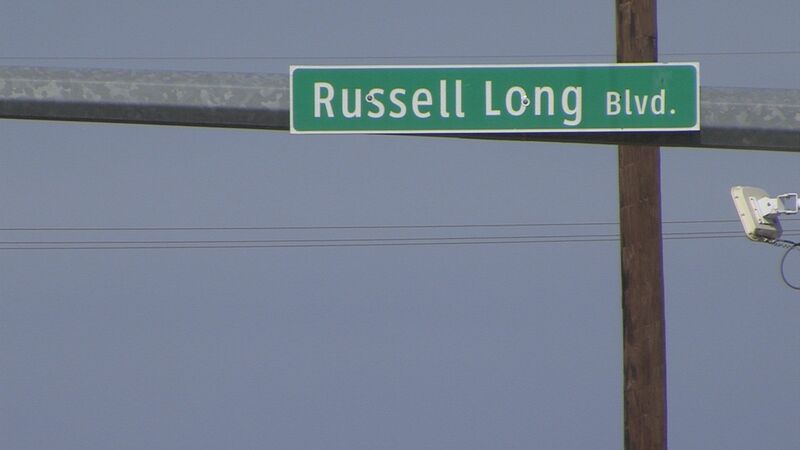 West Texas A&M University officials believe traffic moves too rapidly along Russell Long Boulevard, which borders the northern edge of the WT campus in Canyon. It’s now working with the Texas Department of Transportation, which has jurisdiction over the thoroughfare. Canyon City Hall has joined the effort, too. WT is building a football stadium on its campus. Russell Long Boulevard — named after the former WT president — is getting a lot greater volume of student pedestrian traffic. I have a thought that WT and the city ought to consider if it wants TxDOT to surrender authority of the street traffic to local officials: Place a phone call to state Rep. John Smithee, the Amarillo Republican who is one of the Texas House’s senior members. Smithee, who’s served in the House since 1985, surely has some stroke with TxDOT. WT happens to be Smithee’s major institutional constituent. My strong hunch, based on what I know of Smithee, is that he’d be willing to carry the torch on WT’s behalf to the halls of the Texas highway department. I happen to agree with the assessment that Russell Long Boulevard speed limits need to be reduced to accommodate the greater pedestrian traffic at WT. Smithee’s office is in downtown Amarillo. Call him. I am proud of West Texas A&M University, even though I never attended the school; nor did either of my sons. My pride stems from the decision to erect a memorial on the WT campus that honors those grads from the school who have given their full measure of devotion in service to their country. They broke ground the other day, with several dignitaries on hand to turn some dirt over to symbolize the start of construction. 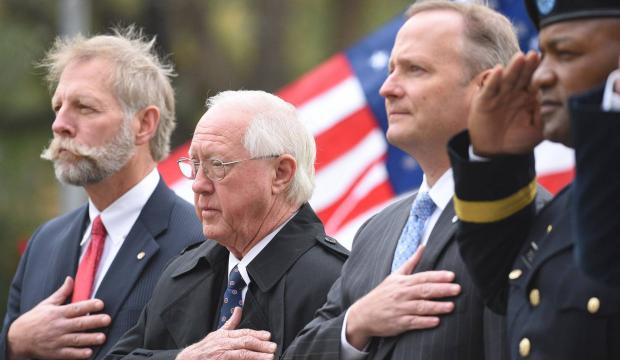 This project exemplifies in my mind the nation’s continuing redemption toward the way it treats those who have served in the nation’s military. It wasn’t always this way, as those of us old enough can remember. I was struck to see Randall County Judge Ernie Houdashell (second from left in the picture attached to this post) among those breaking ground. Houdashell is a buddy of mine and he — like yours truly — served in Vietnam during the war that tore the nation apart. The national reaction to that war sank the nation to its emotional nadir as it related to its treatment of veterans. I know that Houdashell remembers that time, because he has told me so. That was then. The here and now brings loads of respect and affection for the men and women who have answered the call. As for the WT memorial, it will bring additional honor to those who paid the ultimate sacrifice in every war this nation has fought since 1917, when we entered World War I. Times do change. So do attitudes. It’s part of a national maturation. Indeed, the nation hasn’t always acted maturely where its veterans are concerned. We’re doing so now — and that’s all that really matters. I surely understand that much of the attention focusing on downtown Amarillo’s revival centers on that new ballpark/multipurpose event venue. It’s a big deal, to be clear. They’re going to start busting up concrete in a few months and by April 2018, the MPEV will be open for business as the city welcomes the AA minor-league baseball franchise set to play hardball at the venue. Oh, but wait! Something else really big is coming along in the city’s downtown district. It’s at the corner of Eight Avenue and Tyler Street. 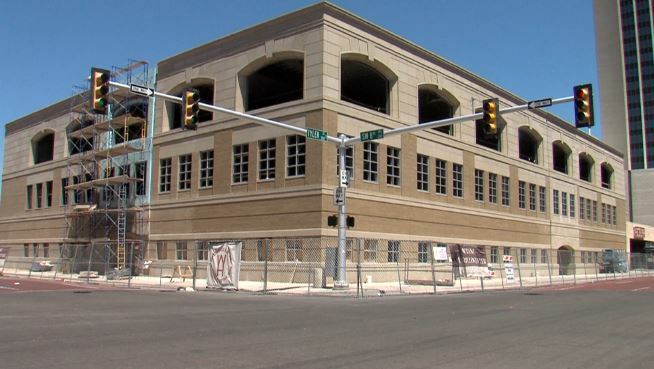 West Texas A&M University is finishing up Phase One of its new Amarillo Center. WT purchased the old Commerce Building a couple years ago. Then Texas A&M University System regents allocated money to gut the old structure and turn it into a downtown campus. I’ll be honest: When I first heard about WT moving its Amarillo classrooms from the Chase Tower to the Commerce Building, I envisioned a fairly quick and simple turnaround. WT would tear the guts out of the building, add some new rooms, reconfigure the floor plan a bit, hook up the electronics and then open the doors for college students. Oh, no. It’s a lot more complicated than that. WT has essentially rebuilt the structure. Yes, it’s the same framework. The exterior, shall we say, bears zero resemblance to the Commerce Building. Phase Two construction is going to commence soon. It’s a beautiful addition to the downtown district’s physical appearance. Is it a totally positive development that lacks any downside? Not exactly. You see, WT is going to vacate several floors at the 31-story Chase Tower, which already has seen a large portion of its building go dark with Excel Energy’s relocation into a new office structure on Buchanan Street. Roughly half of the Chase Tower will be vacant when WT starts classes at its Amarillo Center. I did receive assurances, though, from Aaron Emerson, a partner in Gaut Whittenberg Emerson commercial real estate agents that they are shopping the Chase Tower aggressively for new tenants; moreover, Emerson told me he has great confidence that the building will be reoccupied. I’ll hope for the best on that matter. As for the new WT downtown Amarillo campus, I welcome the university’s increased profile in the city’s central business district. I’ve actually discovered a downside to no longer working full time in the job I used to do. It is that I am no longer “in the loop” with events that occur daily in Amarillo’s downtown business district. My perch as editorial page editor of the Amarillo Globe-News kept me close to the action. Those days are gone. They’re knocking down an old retail building at the corner of Ninth Avenue and Polk Street. I had to find out about it by inquiring on social media. I also learned that once was known as the Blackburn Building is going to become a parking lot for motor vehicles driven into downtown to use some of the other sites being rehabilitated, renovated and rebuilt. There’s the usual expressions of dismay by those who lament the loss of an old building. I feel their angst and their pain. I hate seeing old structures knocked down, too. Then again, it’s fair to ask: What would the Blackburn Building have become had the wreckers hadn’t started leveling it? This, I suppose, is my way of expressing continued support for the makeover that’s underway in Amarillo’s downtown district. The old Levine Building next to where the Blackburn Building once stood is being redone. That’s a good thing, yes? On 10th Avenue, the old Firestone service center is being transformed into a residential/retail location, or so I understand. That, too, preserves an old structure. There’s plenty of new-building construction also underway farther north along Polk. 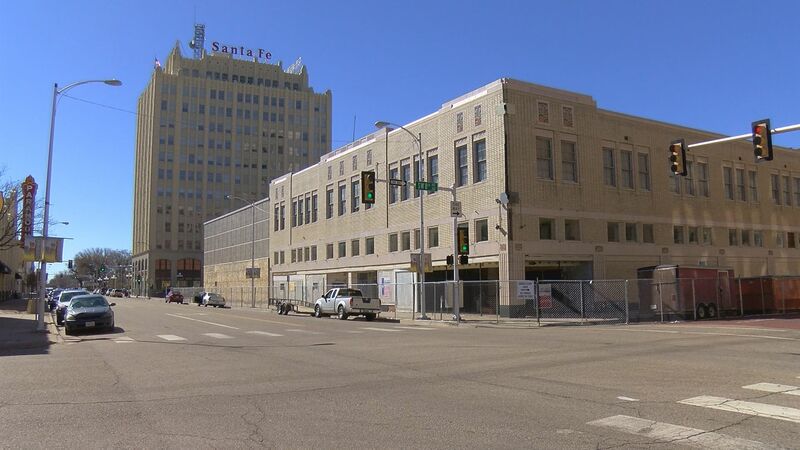 Let’s not forget the major makeover being done to the Commerce Building, which eventually will become home to West Texas A&M University’s downtown Amarillo campus; the WT site won’t resemble the Commerce Building and it will essentially be a new structure. All this activity isn’t producing a completely positive short-term outlook. For instance, WT is going to vacate the Chase Tower, along with Southwestern Public Service, which is set to move into a new office complex on Buchanan Street. Many floors in the Chase Tower are going dark — and soon. Commercial real estate brokers have assured me that they are supremely confident the Chase Tower’s darkened offices will be filled again in short order. Let’s hope for the best on that. Change can be painful, especially when it involves wrecking balls, dump trucks and front-end loaders. We’re seeing some of the pain being inflicted now where the Blackburn Building once stood. I remain hopeful that we’ll get past the pain just as soon as new business and entertainment activity breathes new life into Amarillo’s downtown district. Is it me or does the pace of downtown Amarillo’s transformation appear to be picking up steam? I don’t get downtown as much as I used to, but the things I keep seeing and hearing give me hope that this Panhandle outpost city is getting its act in gear as it concerns the reshaping of its downtown profile. Another storefront on Polk Street — the city’s one-time “main drag” — is getting a new tenant after being dark for longer than I can remember. The old Levine Building has some construction fencing around the ground floor and will be the site of yet another new eatery along Polk. Crush is moving it location across from where it currently does business; we’re getting that two-story/over-under restaurant nearby; the Embassy Suites is continuing to progress; that parking garage next door is getting closer to completion, with retail outlets making lease arrangements to do business once they start parking vehicles inside. West Texas A&M University is continuing to rip apart the old Commerce Building to transform that structure into a new WT downtown Amarillo campus. I am acutely aware that much work needs to be done on major structures. The Barfield Building remains dark; and let’s not forget — if anyone will let us forget — the Herring Hotel, which remains the dream of its owner, Bob Goodrich. But much of downtown’s face already has been lifted. By my way of thinking, so have some spirits been lifted as Center City continues its work to promote the downtown district. 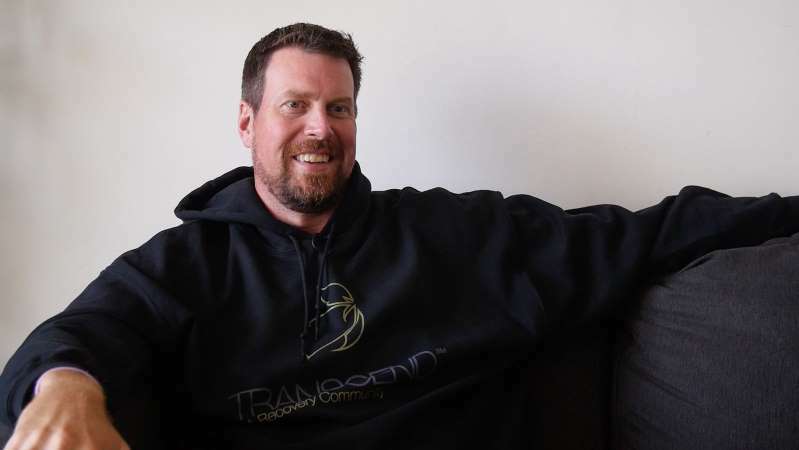 Much of the work done by what used to be called Downtown Amarillo Inc. — I am not clear on the status of that organization — is continuing at a steady pace. I want to reiterate a critical point here. It is that a city’s health can be measured by the state of affairs in its downtown business/entertainment district. Look around Texas and you see cities working — with a wide range of success — at reviving their downtown districts. This isn’t rocket science, folks. The proof of cities’ vitality can be found in any community that boasts a healthy central district. Fort Worth? Houston? San Antonio? They all are bustling. Spare me the response that “We cannot be one of those cities. We aren’t that big.” I know that. My response is simply: economies of scale. We can produce a vital downtown district on a scale that fits a city of 200,000 residents. What I am seeing is that we are proceeding toward that end. 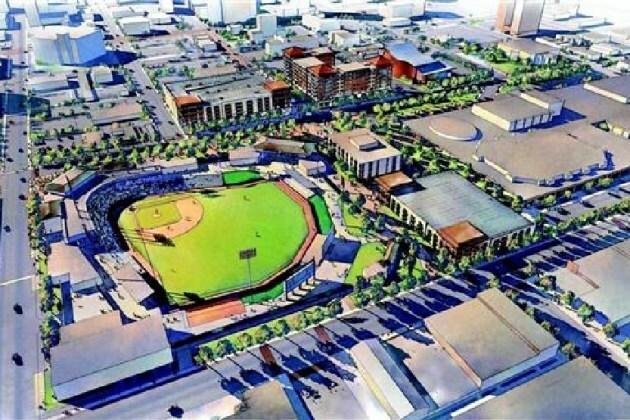 Let us get busy, though, in getting some paperwork done to finalize that baseball franchise move from downstate to Amarillo so we can start work on that downtown ballpark.